Both $250,000 events on the turf course. The 3-year-olds hoping to earn their way into the $2.5 million UAE Derby (G2) got a course and distance drill earlier in the card in the $100,000 Al Bastakiya Trial. Three additional handicaps with thrilling finishes added depth to the card. The Al Fahidi Fort, with multiple Group 1 and Group 2 winners, was the most complex event of the evening, but D’Bai made it look simple. Confidently ridden by James Doyle for Godolphin and Charlie Appleby, the son of Dubawi led home a 1-2-3 finish for the owner-trainer team with his 1¾-length stalk-and-pounce tally, with Mythical Magic finishing second under Colm O’Donoghue and Bravo Zolo in a dead-heat for third under Brett Doyle. Phoenix Thoroughbreds’ Sandeep Jadhav-trained Lansky, Mickael Barzalona aboard, was the other half of said tie for third. 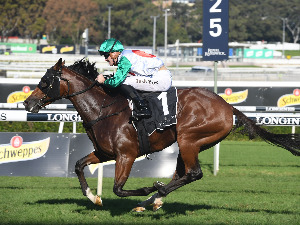 Group 1 winners Comin’ Through, a first Dubai runner for Australia-based conditioner Chris Waller, and South Africa’s Marinaresco failed to factor, finishing seventh and ninth. Top Score was fifth, Championship sixth and Another Batt eighth, while the order of finish astern Marinaresco was completed by Portamento, Janoobi, Degas and Intisaab. 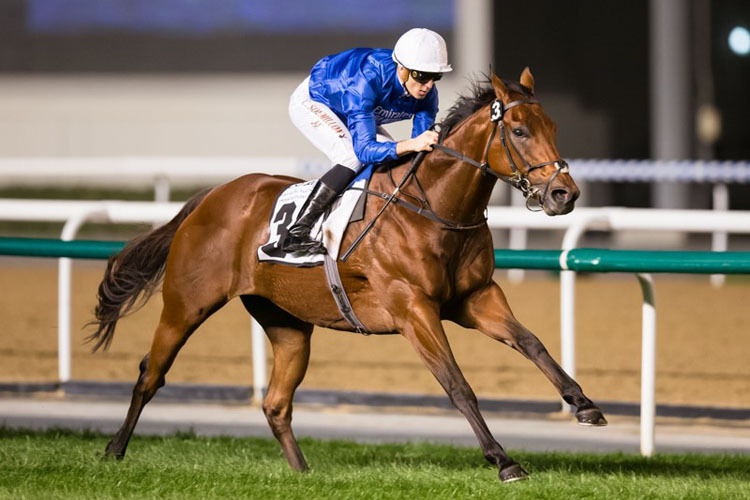 Last year, the Al Fahidi Fort was won by the same connections with Jungle Cat, who subsequently went on to land the 1200m Group 1 Al Quoz Sprint on the Dubai World Cup card. Godolphin were responsible for six of the nine runners in the 1800m Al Rashidiya sponsored by Emirates Global Aluminium (G2) and promptly supplied the first four home with Saeed bin Suroor trio Dream Castle, Leshlaa and Racing History chased home by Charlie Appleby’s Group 1 winner Blair Castle. Victorious three weeks ago on the first night of the Carnival when impressive winner of the Singspiel Stakes (G3) over the same course and distance, the 5-year-old Dream Castle—a son of the great Frankel—has now won both his starts since being gelded, having only tasted victory once before on debut. 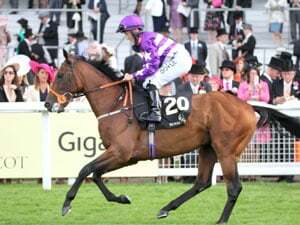 Ridden, as he was three weeks ago, with supreme confidence by Christophe Soumillon, he quickened impressively to lead 400m out and put the race to bed in a few strides. In doing so, he emulated stable companion Benbatl, who won both the Singspiel Stakes and this race last year with his 2018 carnival ending with a $6 million Dubai Turf (G1) victory on the Dubai World Cup card. Leshlaa (Pat Cosgrave up) and Racing History (Kevin Stott) finished well in tandem, while Blair House (James Doyle) was slightly disappointing in fourth, considering his victory in the Jebel Hatta (G1) last March on Super Saturday and superb Group 1 form in Australia in the autumn. The order of finish was completed by the Fawzi Nass-trained pair of Group 3 winner Euginio and Grade 1 winner Deauville, First Contact, Bay of Poets and Arod. Cosgrave and Stott were both pleased with their mounts. 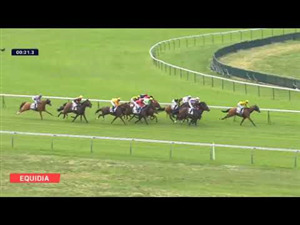 The inaugural $100,000 Al Bastakiya Trial sponsored by Emirates Global Aluminium over the same 1900m dirt course and distance as the UAE Derby and went to Manguzi who, from his draw in stall three, was able to get to the front and dictate an optimal trip under Fernando Jara for trainer Ali Rashid Al Rayhi and owner Ahmad Al Shaikh. The 3-year-old Planteur colt arrived in the UAE as a maiden after three outings for George Scott before making his local debut a winning one in a 1400m Jebel Ali maiden in December, defeating older horses. He was then second to the exciting Walking Thunder in the 1600m UAE Guineas 2000 Trial 13 days later and again wheeled back 14 days later to win this over Godolphin’s hard-charging Estihdaaf and Christophe Soumillon. Both Al Rayhi and Saeed bin Suroor, who trains the runner-up, were pleased with their horses. “On the turf last time, he didn’t run well, but his breeding is better on the dirt and today he showed that,” Bin Suroor added. Victory Command, 12½ lengths astern the runner-up, finished well for third under Royston Ffrench, while Argentine Group 1 winner Grecko, carrying a hefty penalty of 62kg—giving away between 4.5-7kg to his rivals—ran respectably in fourth under Pat Cosgrave. Superior, Tone Broke, Obeyaan, Raayan, Al Seel Legacy’s, Shanty Star, Alla Mahlak, Bila Shak, Alda’iya and Iskandarani completed the order of finish. 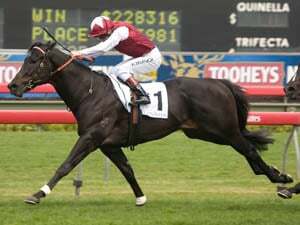 UAE Champion Jockey, Tadhg O’Shea, opened his 2019 Carnival account when never headed aboard local debutant Mazzini in the opening EGA Billets Trophy, a 1000m turf handicap in which he upset top weights Hit the Bid and Faatinah, from Ireland and Australia, respectively. Purchased for 90,000gns at Tattersalls in October, the 6-year-old gelded son of Exceed And Excel completed a 1-2 finish for his sire while having his first start for trainer Fawzi Nass, who owns the horse in partnership with Ahmed Al Qattan. 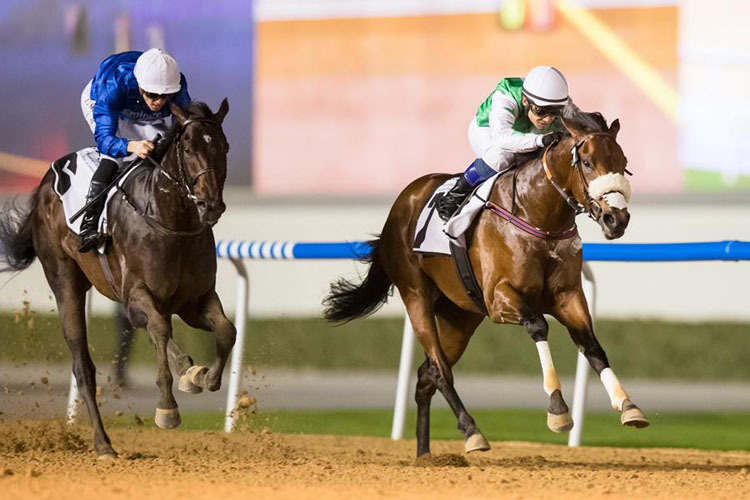 Well away from stall one under Richard Mullen, Saltarin Dubai made very post a winning one with a smooth success in a 2000m dirt handicap, the EGA Jebel Ali Trophy. Trained by Satish Seemar for Sheikh Mohd bin Khalifa Al Maktoum, the 6-year-old gelded son of E Dubai was given a great ride by Mullen who, having set a modest early tempo, skipped clear leaving the home turn and stayed on strongly to register a second course and distance victory following as last year’s Curlin Handicap (Listed) in March. A Group 1 winner in his native Argentina, back in June 2016, he initially arrived in the UAE with Mike de Kock before joining Seemar. 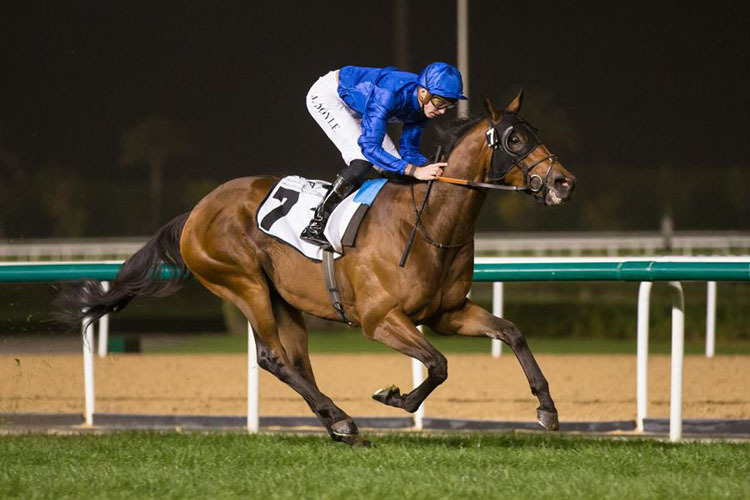 The concluding 2410m turf handicap, the EGA Al Taweelah Trophy was won with a stealthy forwardly placed ride by James Doyle on Godolphin’s recently acquired Spotify, who held off a hard-charging and well-seasoned Sharpalo in second. Appleby trains the winner. "That was a very pleasing as a first run of the season and with a new horse for us,” Doyle said. “I was always pretty happy out in front and then, when I asked him, he has quickened away nicely. He was getting a bit tired in the final 100m, but was always holding on gamely."